Mumbai, the commercial capital of India, has not yet forgotten the serial blasts of last July 2006 that the terrorist tremored this cosmopolitan city of the historical and cultural centre, once again. But this terror attack by the terrorist in Mumbai was the most dangerous, well plotted and multipurpose attack. The motive behind this gruesome conspiracy of November 26 was not only to make the loss of lives and property but its main motive was was to give a message to the people of the world that no place in the world is beyond the reach of terrorists, even the places that are considered the most safe. It was also that the tourists can not escape from them wherever they may live. Besides it was also an attempt to weaken the economy of India by putting the adverse effect on tourism. Apart from it, if we have a look at the goals of the attackers, the enemy of the humanity tried their best to destroy the Indian culture and challenge the Indian pride. The terrorists started their work in Mumbai, at about quarter to ten, in the evening by attacking cafe Leopold. The cafe was started in 1871 and is more often visited by foreigners and tourists. It is a very popular cafe in the old Mumbai. After the terrorists reached Bombay VT, now known as Chhaterpati Shivaji Terminal, which is the most famous and the busiest railway station in the world. They made continuous firing there and threw hand grenades. This railway station was built in 1878, well known for its architectural value. This world famous, busiest railway terminal was declared as an international heritage in 2004 by UNESCO. 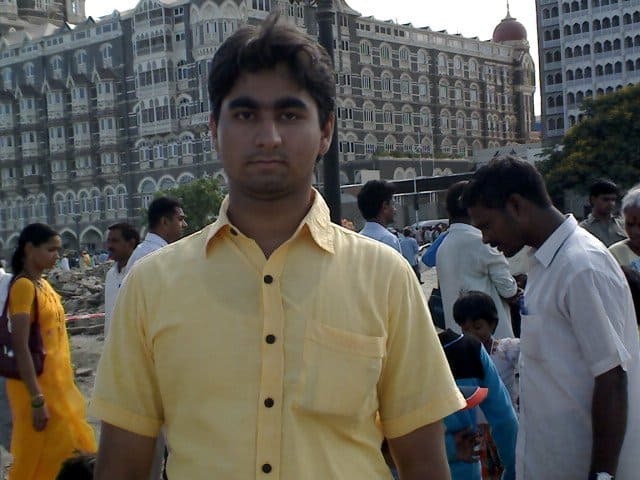 With the same black thoughts the terrorists hit the 5 star Hotel Taj Palace, which is 105 years old and situated on the beach of the Arabian Sea in Mumbai. Taj hotel is situated near the gate way of India. The sea view is clearly visible from here. Similarly, the terrorists cracked the popular Hotel Oberoi (now trident) another 5 star hotel in Mumbai. Besides it the terrorists hit the ancient building of Kama and the ale bales & Nariman house. Kama Hospital was built by a rich trader in 1880 whereas the Nariman house is a main centre of the Jews, where Jew visitors from abroad stay. There is also a big library and prayer house for the Jews in this building. The terrorists had captured the historical and grand buildings such as hotel Taj, Hotel Oberoi and Nariman house. They kept hundred of persons as hostages, at these three places, there is news that about 200 persons were killed and about 300 injured in this terror attack. To fail this terror attack, the Indian security forces fought with full strength. Besides Maharashtra police, specially trained commander took part in this operation black Tornado. The combat that went on for three continuous days can give the hint of preparation and planning by the terrorists. In this operation, 20 security guards and high security officers and commandos received martyrdom. The Anti Terrorist Squad chief Hemant Karkare as well, was among the officials who received martyrdom during this operation. It was the biggest ever attack in the country, made in Mumbai. It was well planned and dangerous as was 911 in America. America is known as the advanced and powerful nation in all the areas, in the world. Undoubtedly, the incident as of 9/11 could not repeat in America but America could not put off an incident like 9/11. In India, too, many religious places, markets, railways and very famous places could not be saved from the terrorists. Even the safest place as parliament house in Delhi was also attacked by the terrorists. Similarly, even the pre-warning to Benazir Bhutto in Pakistan could not save her. Even the very safe 5star hotel Marriott in Pakistan was attacked by the terrorists. The most safe and secure underground railway in London could not be saved from the terrorists. The enemies of the humanity have played their bloody game in so many countries as France and Spain too. It is not wrong to say that the terrorist’s attacks in India and Pakistan look like a routine work. Now the question arises if there is any way out to avoid these terror attacks? Do the incidents of 9/11, attack on Indian Parliament and fresh attack on Mumbai compel us to think that perhaps no place in the world is beyond the reach of the terrorists? Are these enemies of the humanity, according to their will are free to play with the lives of human beings, where and when they desire. Is there no remedy with the leaders who are to be said expert in doing politics? Not say if dealing with the terror attacks, the leaders indulge in finding there political benefit from the incidents. They are away from finding a serious and transparent solution of the problems. Without wasting their time these politicians find ways to play with politics for their personal benefits. In India too, at such occasions, the one party blames the other party for the terror attack. Sometimes the neighbor country like India and Pakistan blame and doubt one another. Obviously the accusing and retaliation of politics on terrorism may help in spreading thrill and hatred but these paradoxical statements encourage the terrorists. After finishing one attack on a country the terrorists busy themselves in preparation of another attack on same or another country. Now the need stands for those remedial measures that are transparent, solid and constructive. The steps should be such that can uproot the terror, terrorists, their hiding places and the thoughts and sources that prepare and plot these dangers. Undoubtedly, Pakistan itself is facing the big challenge of terrorism. There, the terror incidents are common. But there is no doubt that almost maximum terrorists centers and their hideouts are too in Pakistan. It must remember to all the leaders of every country including Pakistan that a trained terrorist will not harm only one country like India. These enemies of the humanity will harm humanity wherever they go may be in America, Pakistan or in India or somewhere else. If the sinus of terrorism is to be destroyed completely, then all the affected countries should unite against terrorism. They should prepare such a policy against the foes of the humanity that is transparent, without considering the religion, caste and country so that the policy is useful in totally uprooting them. There are many proofs in the history where if a country or an organization has encouraged terrorism for its personal benefit, the nurturing country was badly hit by the terrorism. Therefore, all the countries or organizations should throw it out of their mind that these poisonous snakes will bite the neighbor only. To think in such way is a great blunder. It should be prayed that the incident like 11/26 will not be repeated in any country. But to give a formation to the prayers, there is a need for united efforts so that the humanity is saved from the enemies of the humanity in.